Herbsonlineshop's 100% Cedarwood essential is organic. Cedarwood Oil is derived from the bark of the tree. It has a strong woody and sweet aroma. Cedarwood essential oil is a sedative, it has the power to relieve tension and stress that affects your health. Cedarwood has a soothing and calming effect on the mind, reduces inflammation and muscle pain. 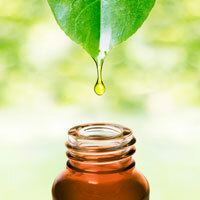 Cedarwood also treats skin and hair problems, as it tightens the cells and tones the skin in addition to cleansing it. It has antiseptic properties and calms skin irritation and itching. Cedarwood is often used in steam inhalation therapy for treating the congestion associated with bronchitis, sinusitis and cough. Cedarwood also serves as an insecticide, repelling insects such as moths, mosquitos fleas on pets and ants. This is why a chest or closet is lined with cedar - to prevent moth infestation.